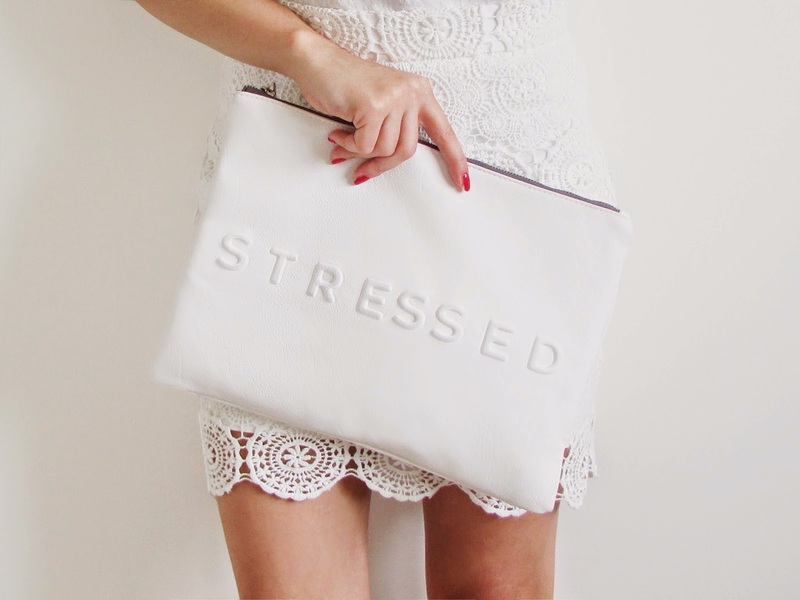 The perfect statement accessory for the girl who doesn't like making a statement. Zara have done it again with another Spring/Summer must-have. The 'Stressed But Well Dressed' leather pouch first caught my eye back in April when I saw the beautiful Lucia feature it on her blog Style Confessional. It takes a lot for me to really fall for a bag, but as soon as I saw this I knew I had to have it. It's clean cut, stylish and playful, the perfect combination if, like me, you aren't one for colour or print. Having heard it was another sell-out I instantly headed online and completed my order. When it arrived, it was even better than I first imagined. The PU leather is super-soft to touch and the embossed lettering gives it a really premium feel. The best thing about it though is it's versatility. It looks great with EVERYTHING and is big enough for me to carry all of my essentials... and a little bit more. 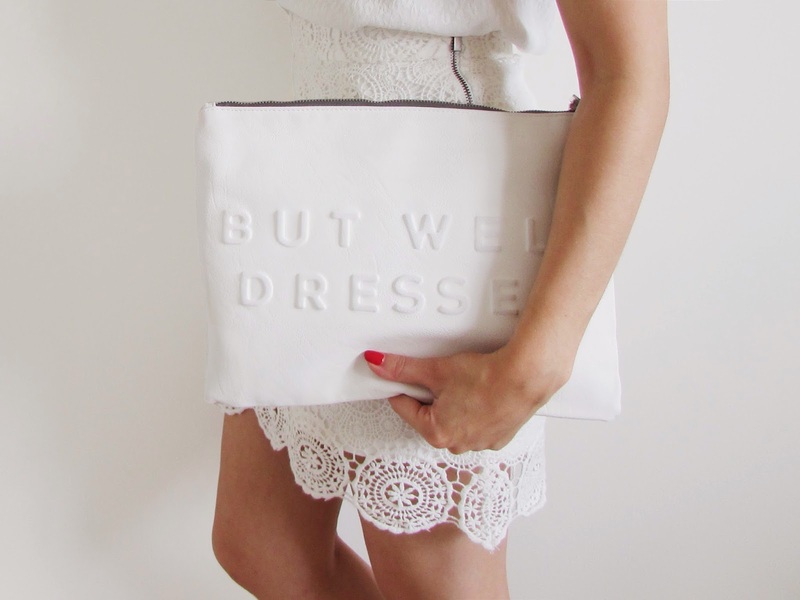 Adore that clutch! I wish I could justify buying one but I hardly ever go "out" nowadays! Thanks lovely - I'm trying to get as much wear out of it as possible! Adore the bag & love the skirt, where is it from?